The Clinical Nurse Leader (CNL) is a relatively new Master’s prepared nursing role presented by the American Association of Colleges of Nursing (AACN). They are Registered Nurses who have earned a Master’s or Doctorate degree in a formal Clinical Nurse Leader education program. CNLs are advanced generalists in contrast with Advanced Practice Registered Nurses who are prepared with specialist education in a defined area of practice. The Clinical Nurse Leader role is not that of an administrator or manager. Instead they put evidence-based practice into action so that patients benefit from the latest innovations and technologies in health care delivery systems. The CNL is responsible for overseeing the care coordination of individual patients as well as distinct groups of patients in complex situations. 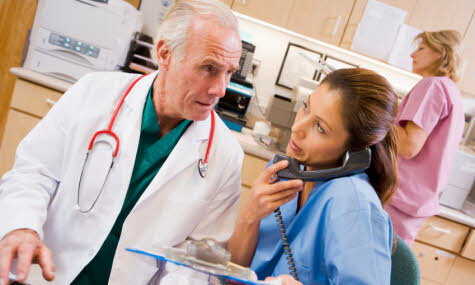 They coordinate patient care by communicating, planning, and implementing care between members of an interdisciplinary team of other health care professions such as Nurse Practitioners, Clinical Nurse Specialists, physicians, pharmacists, and even social workers. The CNL is not only a leader in acute care settings. They are leaders in all health care delivery settings. To learn more about the Clinical Nurse Leader role and how it is implemented across various health care settings, refer to the AACN’s Working Paper on the Role of Clinical Nurse Leader.